I remember back in the day when I hated asparagus (there was a point in my young age when I pretty much hated everything except for toast and milk). The day I finally decided to man up and give them another shot was a new beginning. My aunt made the super skinny spears with just a little olive oil and salt and pepper, and everything changed. I realized this vegetable wasn’t the devil, and not only were they good with just a little EVOO love, there were so many other asparagus recipes out there! I still refuse to buy asparagus if they are really thick…maybe I am an asparagus snob. 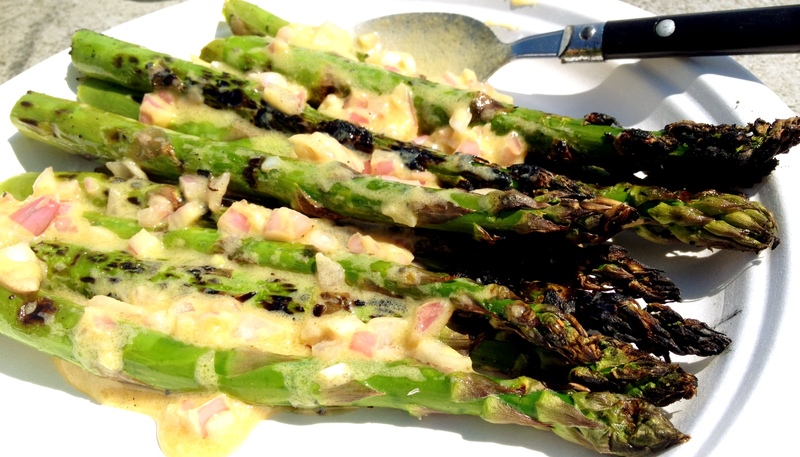 This recipe is pretty standard – cook the asparagus in whatever way works for you, then pile on this amazing mustard sauce. 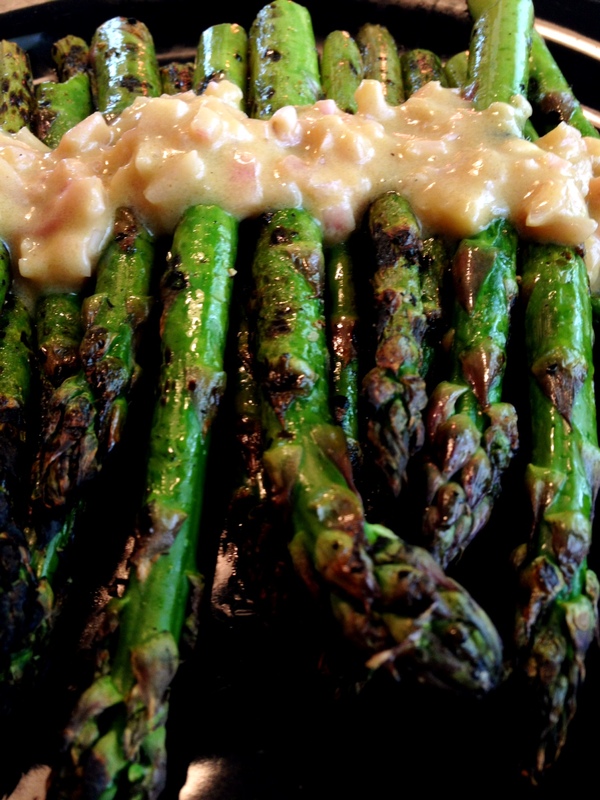 The sauce will go well on other things too – pork, chicken, fish, etc….but it is really damn good on asparagus. 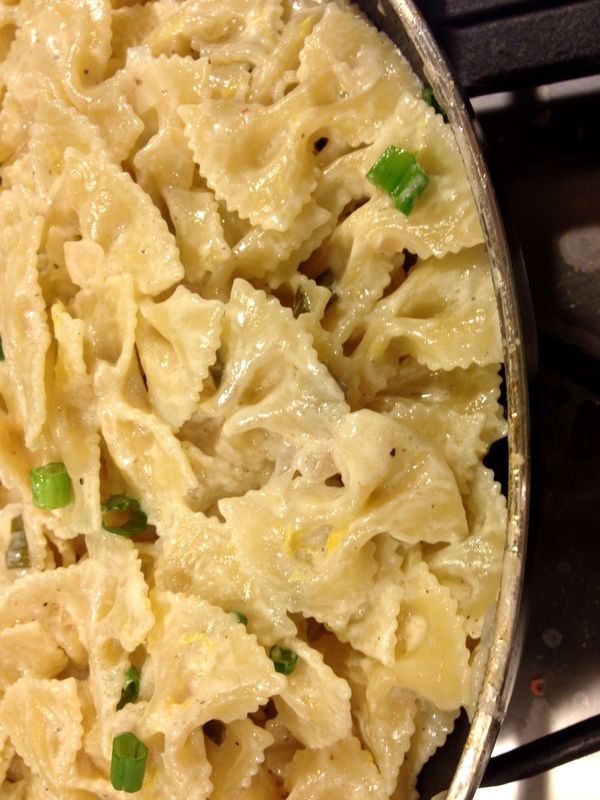 1 tablespoon finely cut chives. 1. Snap off and discard the tough bottoms of each asparagus spear. If using large, thick asparagus, peel the lower ends with a vegetable peeler. Medium asparagus will not need peeling. 2. Make the vinaigrette: In a small bowl, place the shallots, vinegar and a pinch of salt. Let shallots soften for 5 minutes. Stir in the mustard, then whisk in the olive oil to make a thick dressing. Season to taste with salt and pepper. 4. Heat grill to medium. 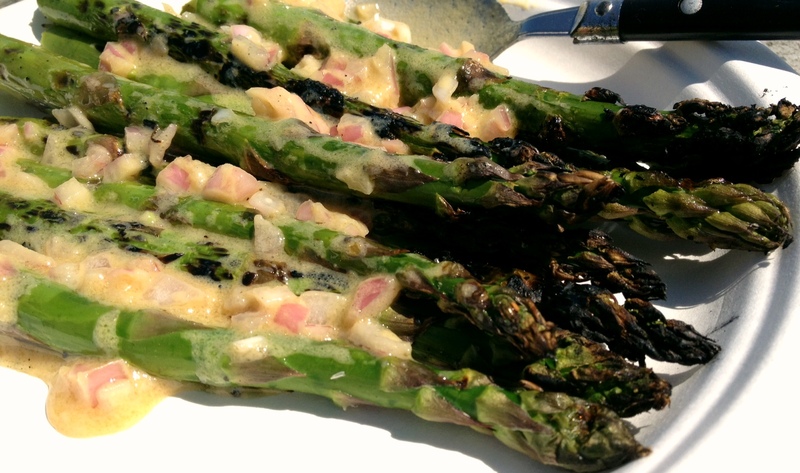 Brush olive oil on asparagus, and grill until tender, about 6-10 minutes depending on your grill. If you do not have a grill: In a large stainless-steel soup pot bring 4 quarts of well-salted water to a rolling boil. Add the asparagus and cook for 3 to 5 minutes, until just done. Remove asparagus with a large strainer and spread out on a baking sheet lined with a clean kitchen towel. Asparagus may be served warm or at room temperature. 5. To serve, place asparagus on a platter or individual plates. Spoon the vinaigrette over the asparagus. Sprinkle with chives if you wish. 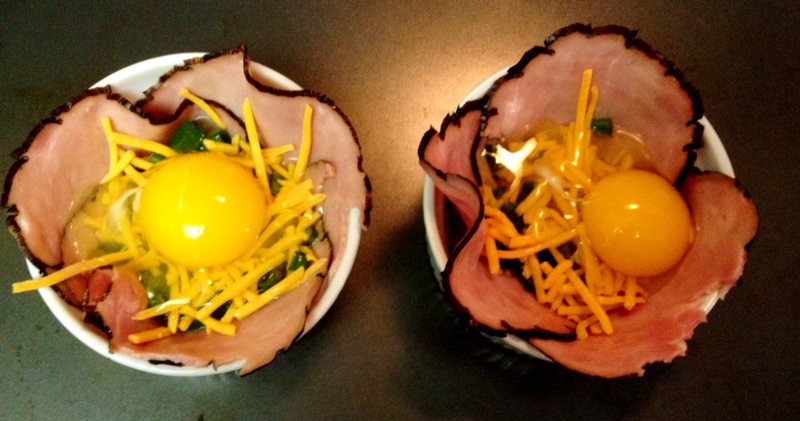 Baked Eggs in Ham Cups. 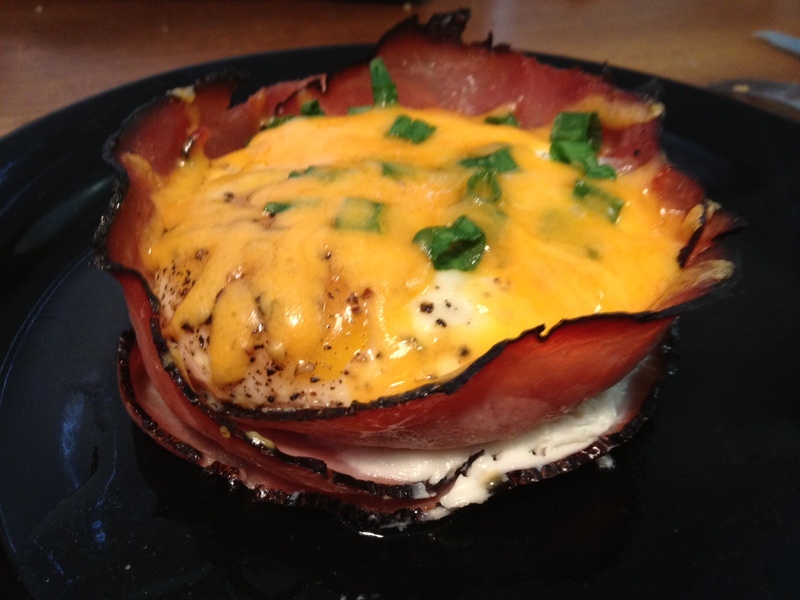 Baked Cheesy eggs...in a ham cup. Man, talk about the easiest, cutest, and tastiest breakfast ever. Well, as long as you have ramekins sittin’ around. 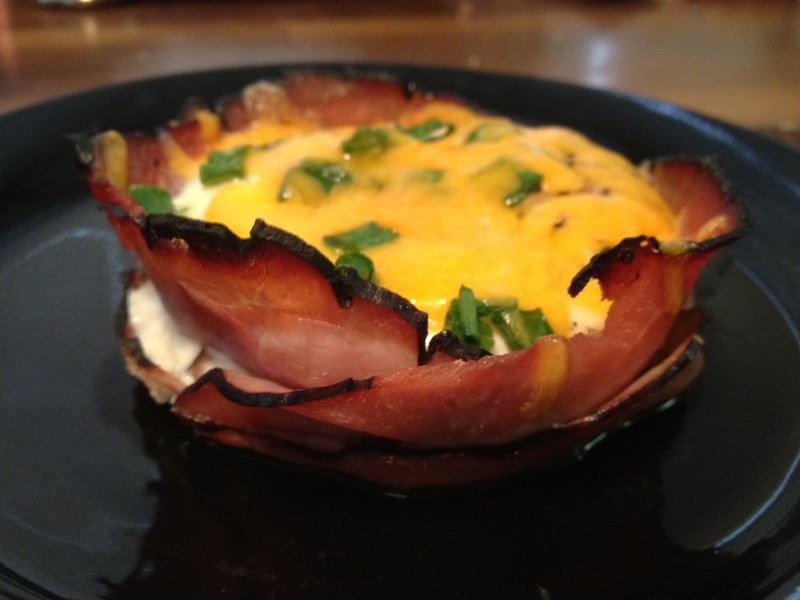 (In the famous words of Jordan, “I don’t know what the hell a ramekin is.”) This might be something you could do in a muffin tin, but I’ll have to get back to you on that later. Right before stickin' 'em in the oven. 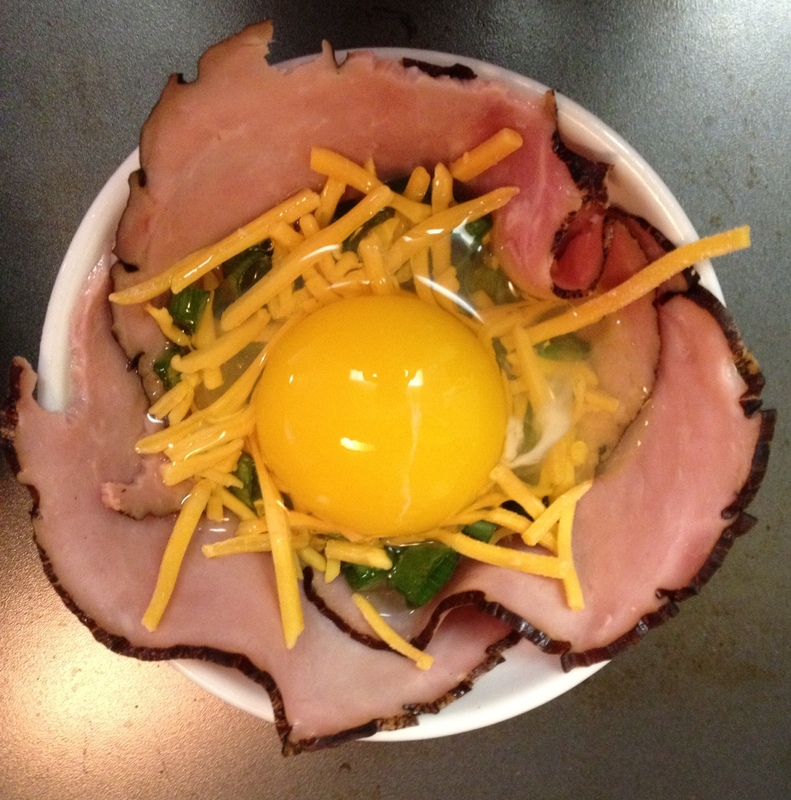 Up close and personal...Just ham, chives, cheese and an egg. Out of the oven at about the 15 minute mark - Poke holes where there are bubbles, then feel free to go crazy and add more toppings! 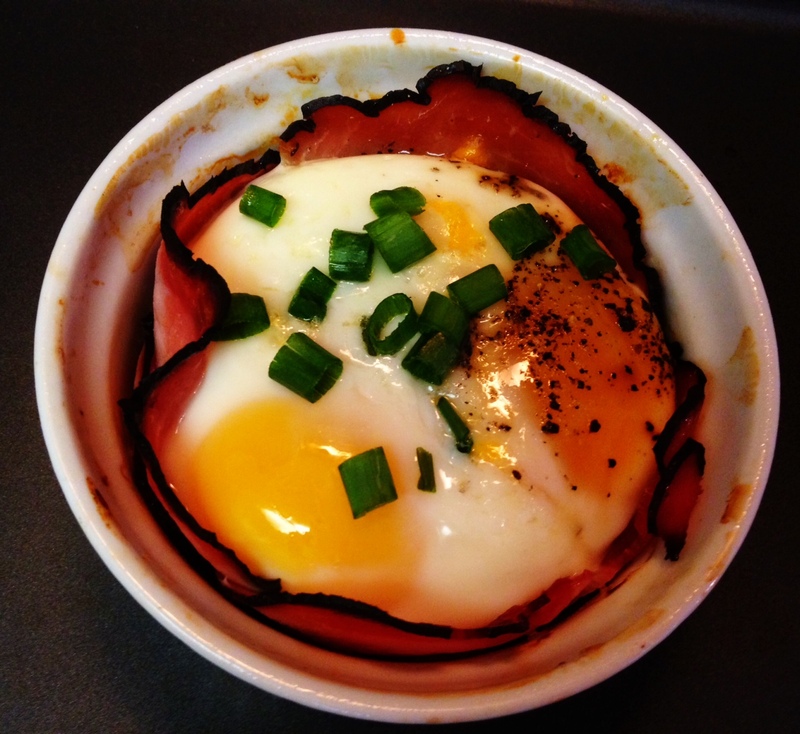 Please excuse the fact that as these were baking the ramekin got kinda crusty around the edges...Also: depending on the size of the ramekin, 2 eggs in 1 ham cup is possible. 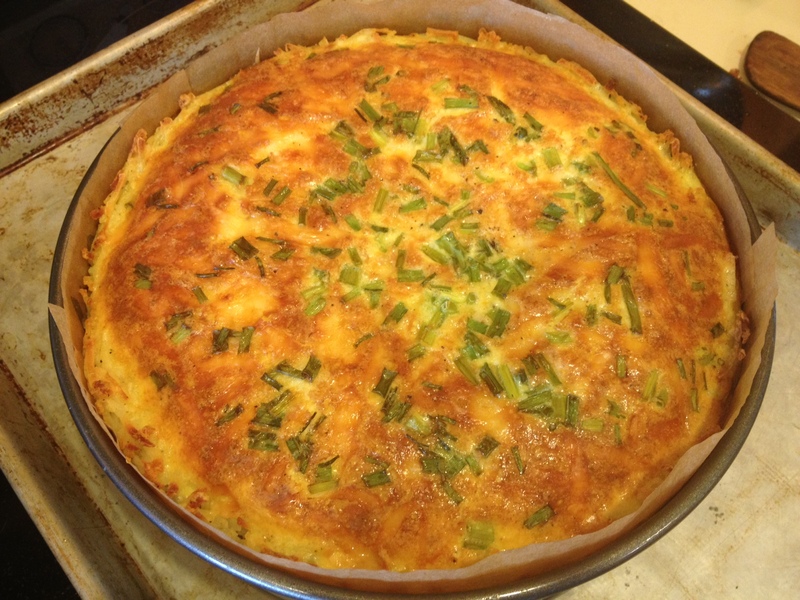 Put in fillings of your choice – we went basic for our first time, chives and cheddar. Note: the eggs may look undercooked, but they definitely aren’t! 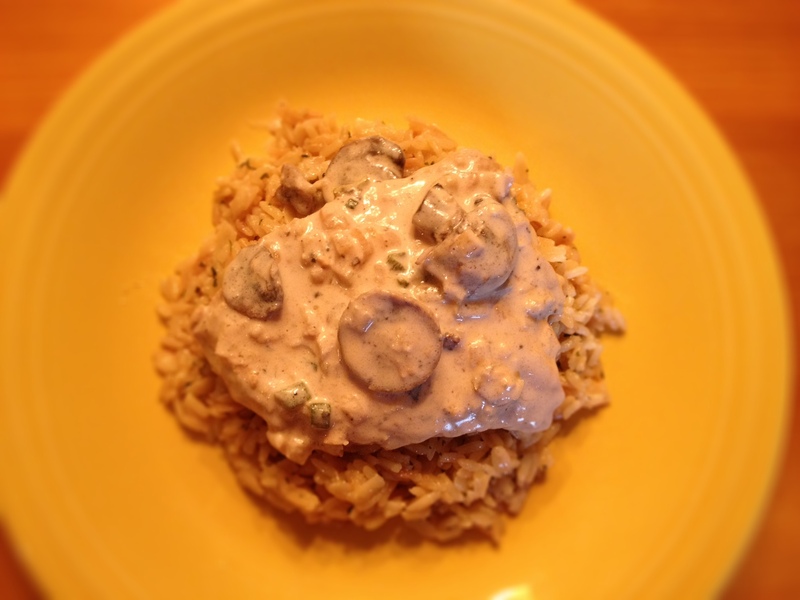 We overcooked ours a little the first time, but they were still delish! Cornbread. 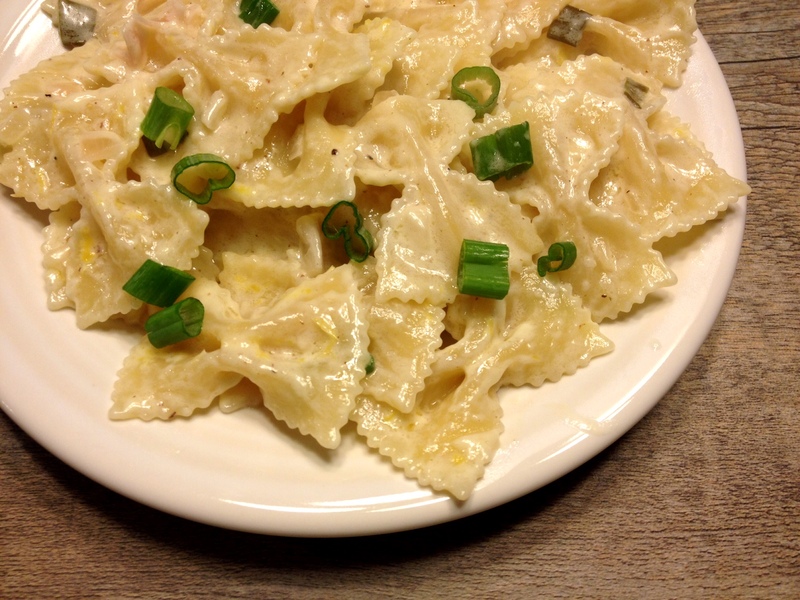 So easy to make at home. Never, ever use one of those box mixes, from scratch is just as simple. 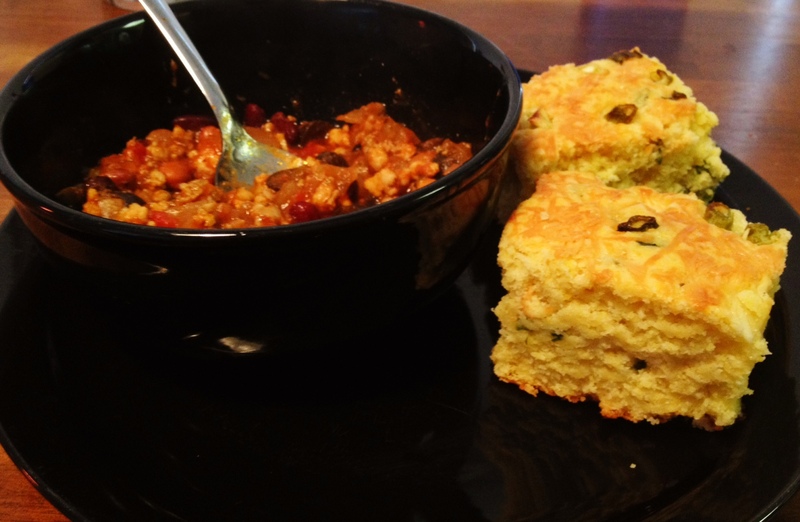 I secretly prefer my cornbread on the sweeter side – aka with tons of honey and butter. 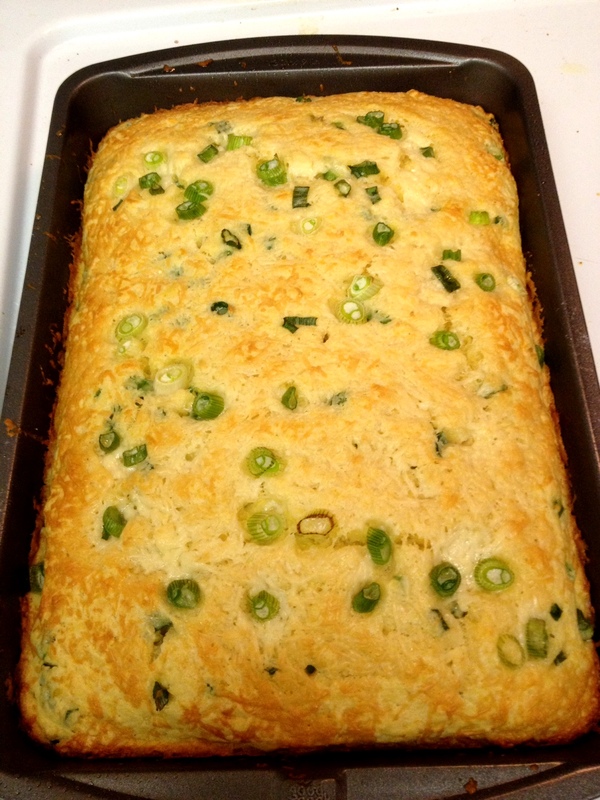 But this recipe is great, because everyone knows Ina would never screw up cornbread. You can secretly put honey and butter on it like me and it still tastes good. Delicious served with soups – especially chili. 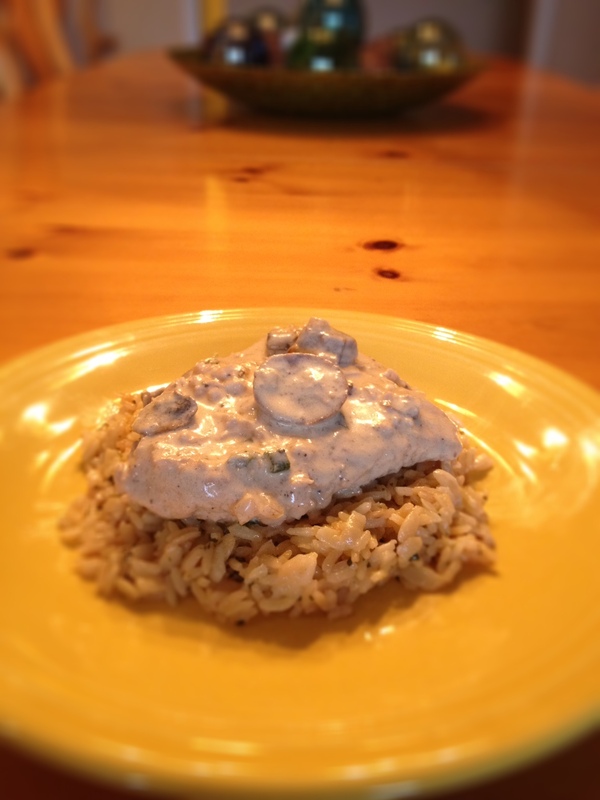 Champagne Chicken…Simple, elegant, delicious…and a great option for a Valentine’s Day dinner! 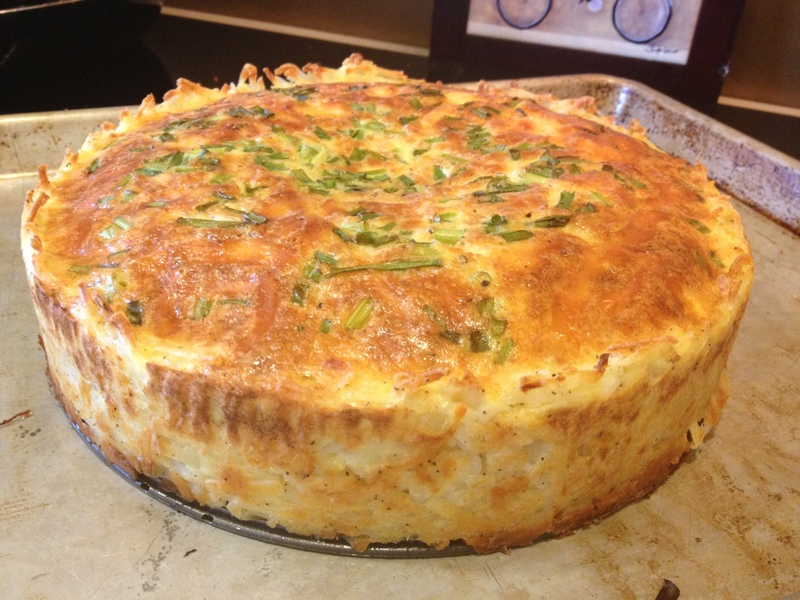 Almost ready to serve…Perfect with mushrooms and fresh chives. Pound each chicken breast to an even thickness. Sprinkle each with 1/2 tablespoon of lemon juice and black pepper to taste. In a large skillet, melt 2 tablespoons butter, add oil and saute chicken over medium-high heat, about 2 minutes per side, until nicely browned. Remove from pan, cover and keep warm. 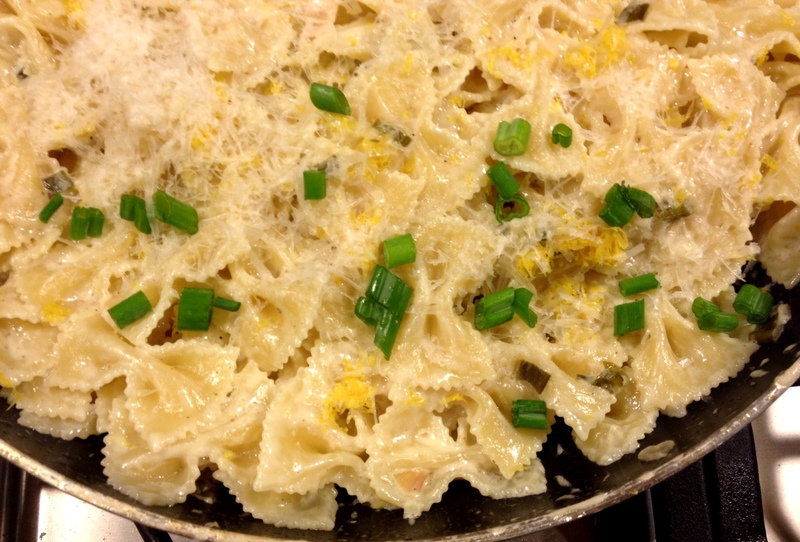 In the same pan, melt remaining 2 tablespoons butter. Saute shallots until translucent. Add garlic and cook 2 minutes more, scraping up browned bits from the bottom of the pan. 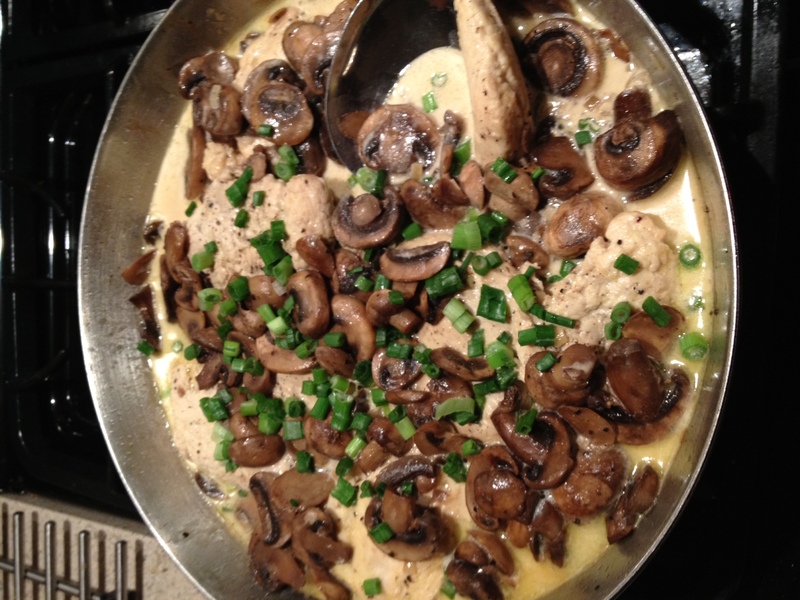 Pour in chicken stock, champagne and remaining 3 tablespoons lemon juice. Bring to a boil and cook to reduce to a thin glaze. 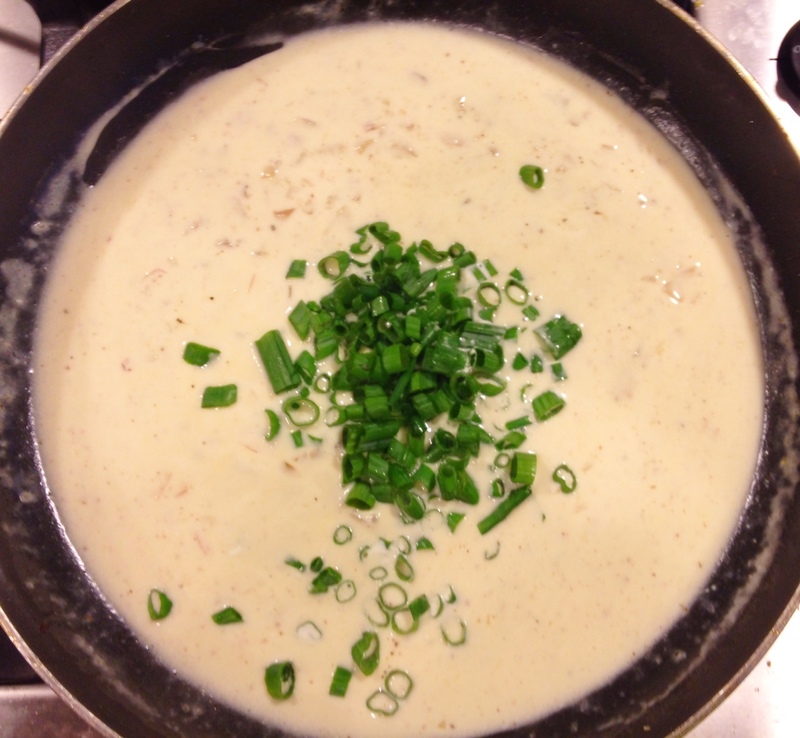 Add cream and boil for 6 minutes until thickened. Return chicken to pan and heat through. 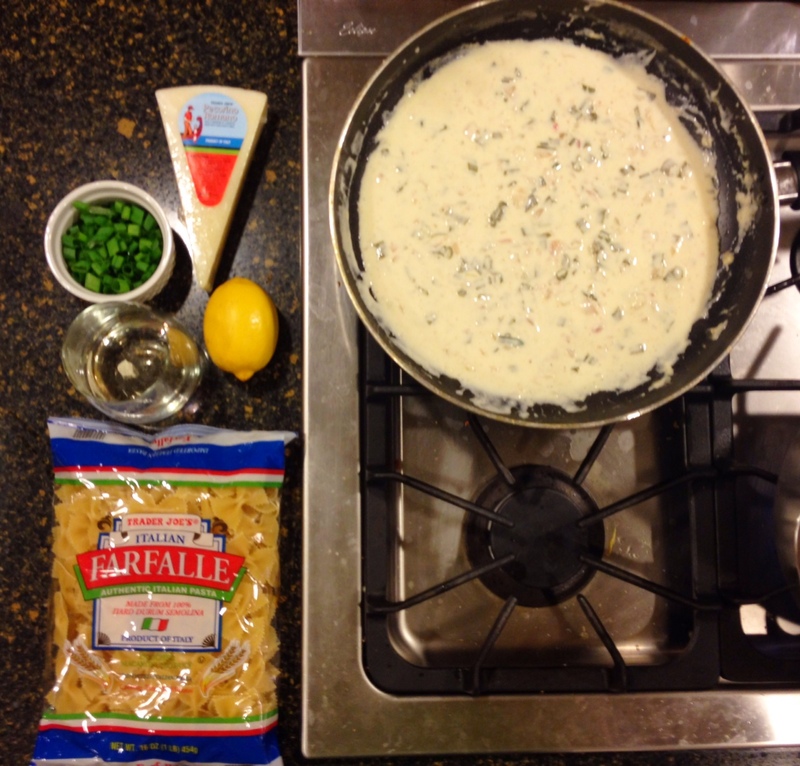 Sprinkle with minced chives and serve immediately over rice or pasta.